This isn't my image, and I'll take it down if asked. A black car pulled up nearby, and the back doors opened. 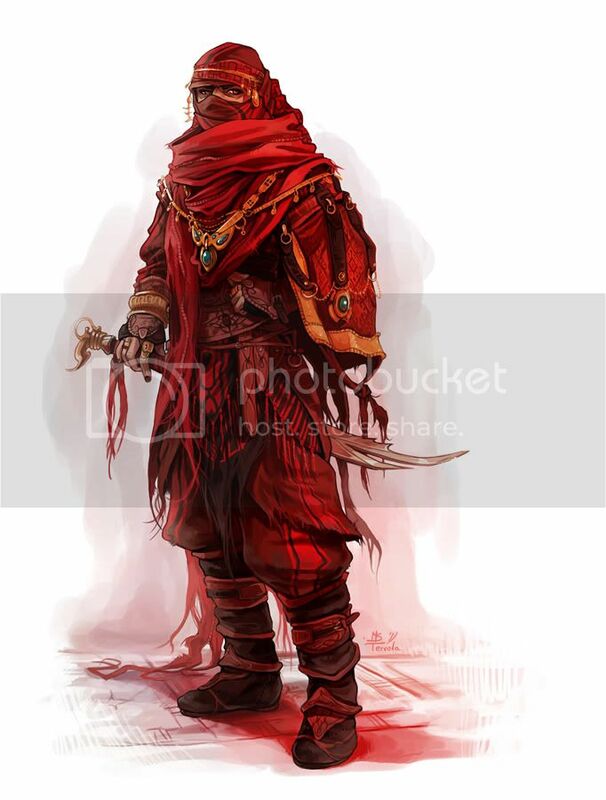 Out of the car stepped tow people, on covered in red robes, and had an interesting looking Scimitar on his waist, while the other looked to be a slightly armored young woman with a sword on her back and a pistol holstered on her belt with a few extra clips. The two stepped away from the car as it pulled back and away from the group. They took a few steps towards Sven and then the woman stopped, allowing the male to take a few steps ahead of her. The man held out his hand as a gesture, "I take it you're the one we're here to see?" He said, his voice a monotone, and his eyes betraying no emotion. Alik'r Sudali Naji nodded, "We noticed when we pulled up." he said, nodding back to the woman. She then nodded and grinned, departing into the crowd of people leaving and entering the city. The man took a step closer, "Do you have a place where we could speak, with less.... risk?" He asked, raising an eyebrow. Alik'r Sudali Naji stepped into the vehicle, "Good. My friend will meet up with us there." He said. He seemed incredibly calm and quiet for the strange way he was dressed. The woman had faded off into the crowd and could be anywhere now. sat silently for the duration of the car ride. He then huffed slightly, and shook his head, "You'll find that can often be a double edged sword." He said, placing his hands on his lap. He didn't enjoy riding in cars, but he'd become more accustomed to them since he'd been tracking Lake. Alik'r Sudali Naji didn't take a seat, "I'd prefer to stand." He said, crossing his arms in front of him. He placed on hand on the hilt of his sword, and let it rest there. The black haired woman lifted herself up onto the roof behind Lake, and pulled out her gun silently. She took a step, and cocked the pistol. She knew that Lake would hear her, and prepared to dodge whatever was shot or thrown her way.